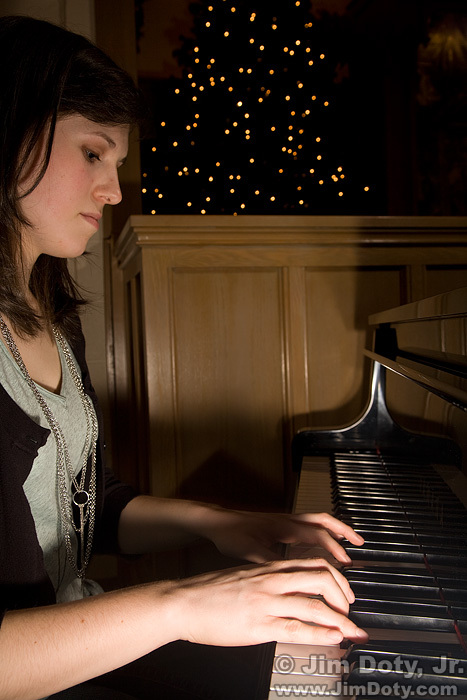 Jennifer at the Piano, Worthington Ohio. December 20, 2009. This photograph was spur of the moment. Jennifer played the piano at church for a Sunday morning service and I decided after church that I wanted a photo of her playing the piano. Fortunately for me, another photographer was at church with his Canon gear so we had two speedlites to use. One speedlite was to camera right (held by the other photographer) and pointed at Jennifer’s face. The other speedlite was on a stand behind her and hidden from the view of the camera by her head. 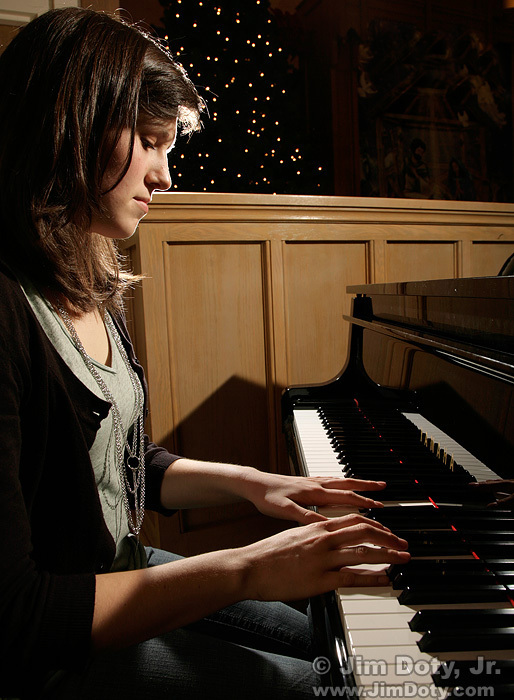 It provided the backlight on her hair, and the light on her arms, hands, and the piano keyboard. An infrared transmitter on my camera triggered both speedlites. This is my favorite photo for December 20. Information about using off-camera flash is at the link below. Using two off-camera flashes is so much more effective than using one, on-camera flash. Sunny’s Birthday, Columbus Ohio. December 20, 2017. My second favorite photo for December 20 is our dog Sunny. 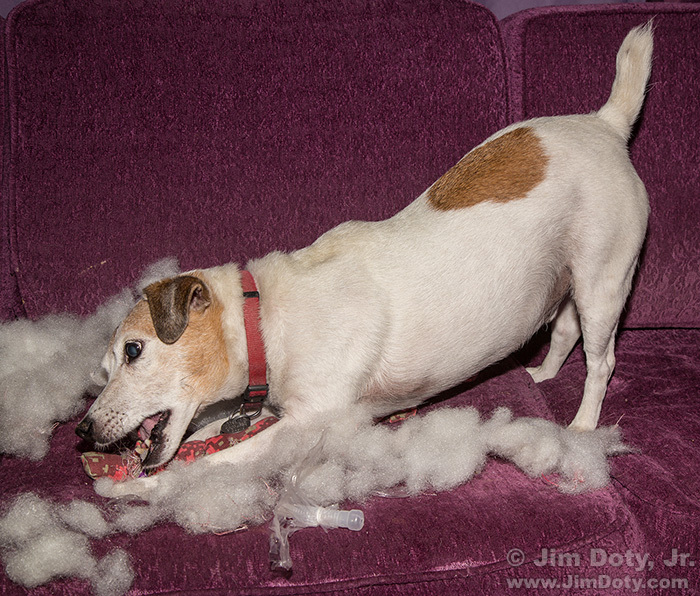 He loves to tear apart “indestructible” dog toys to get at the squeaker inside. This photo was taken on his birthday a year ago. In this image he has already found one squeaker, removed it, and squeezed it until he punctured it. Then he found a second squeaker and is busy removing it. This entry was posted in Photographs, Using Equipment by Jim. Bookmark the permalink.